You can decide for yourself if the Kuat Sherpa 2.0 rack is worth $498. I’ll say this, if a museum-quality finish, obsessive attention to details, and a killer no-sway feature is important to you than yes it absolutely is. 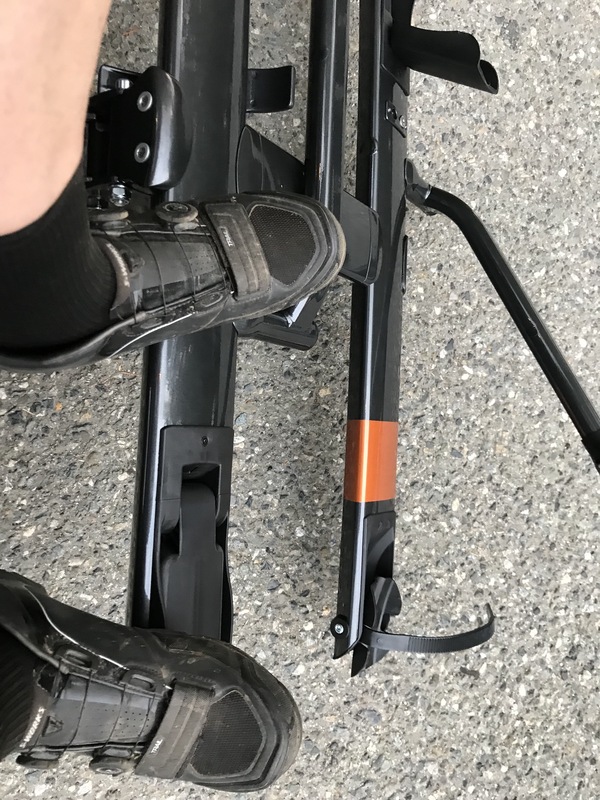 It’s simply the best hitch rack I’ve used. You can find less expensive, high-quality racks for sure, but none as nice as this. It’s as if an industrial designer, or team of them, decided to make the best rack possible and they totally did. There are a couple of exceptions, a few minor complaints I’ll get into below. What’s most important to me about the Kuat is the portability. It’s only occasionally that we need to carry a couple of bikes on our car and the Kuat is lightweight enough (32 lbs) for easy on/off and storage in the garage. I’ve already taken the rack on/off 5 times. I’m obviously super into bikes, publishing a site called Bike Hugger right? And, it’s nerve-wracking for me to watch in my rearview mirror as bikes sway back and forth on a rack. 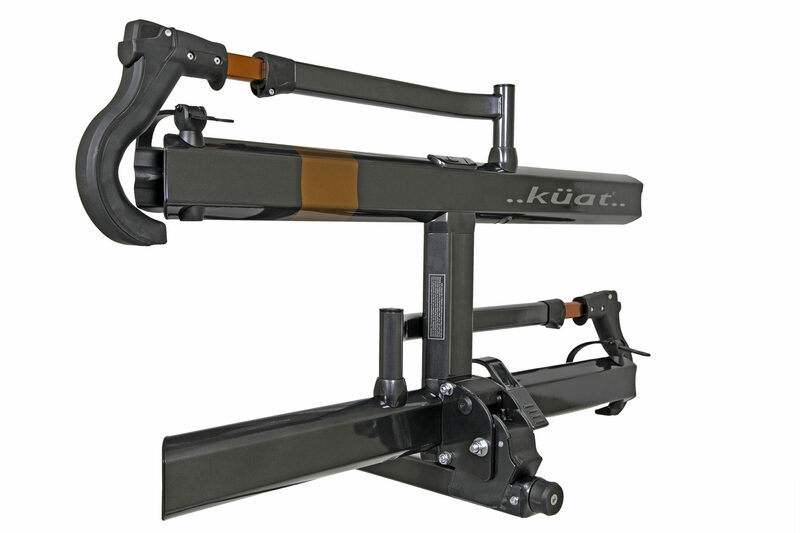 Maybe they’re gonna fly off, bang into each other over a bump, or gasp get scratched…well, the Kuat stabilizes the rack with struts through the body and a hitch cam. That’s the killer feature. 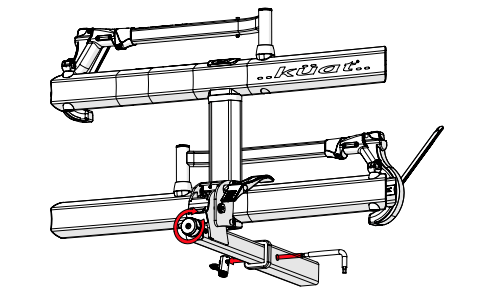 Screengrabbed from the manual, here’s the hitch cam that stabilizes the rack in the hitch and below the stabilizing struts in the body. Stablizing struts minimize sway and bounce. 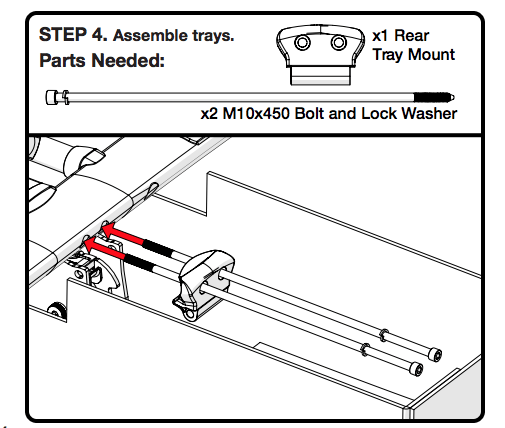 You load the bikes like any other with rack, by first dropping the rack from the upright position with a convenient pivot handle/pedal. Then, hook the front tire and strap in the rear wheel. The Sherpa 2.0 pivots down farther for tailgating post ride. Makes a nice foot rest too. For shorter or fatter tires, there’s an adapter. The 2.85s on my One+ fit just fine. Where Kuat could improve is with an integrated cable lock and more robust hitch lock. I’ve heard of thieves snatching bikes right off racks and even the rack itself. The semi-integrated cable lock is fine for preventing a casual thief from grabbing a bike. 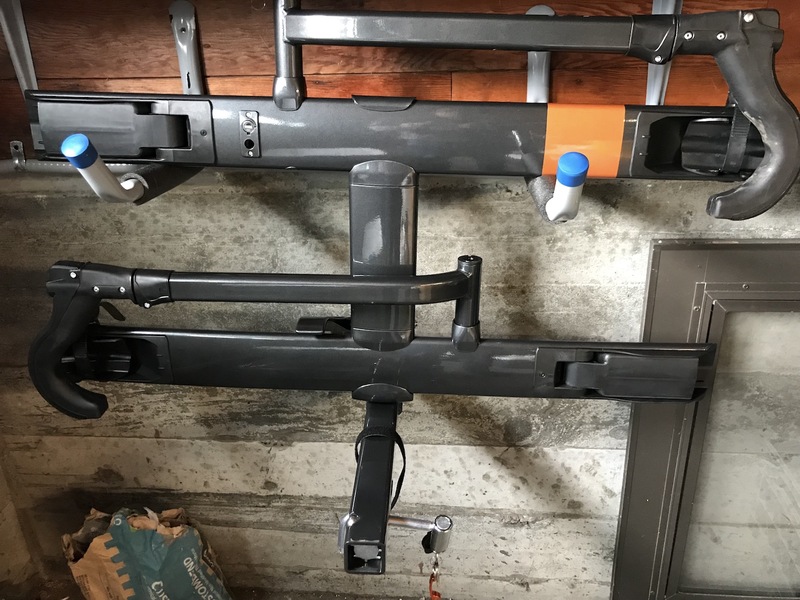 A better-integrated one would slide out from the rack arms and secure the wheels to the rack body. Removing and securing a loose cable means it’s flopping around your bike frame and has to be strapped down before the trip. If integrating a lock proves too challenging for Kuat’s designers, perhaps they could add a loop to the arms for your own u-locks? 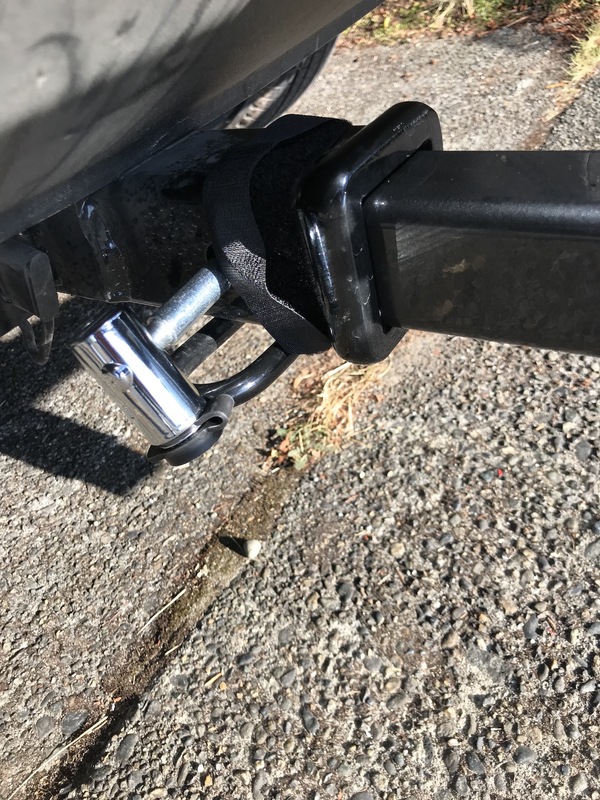 I think a determined thief could knock the hitch pin lock off and steal your rack…I’d like to see a much more robust version; also one that addresses hitches that have loops for chains. I strapped the lock to the hitch with velcro because it just dangles there above the chain loop. The lightweight, portable hitch rack fits our needs. Kuat has a full line if you carry more than 2, ride heavier bikes, or just permanently affix the rack to your rig. As I said, to me the design is well worth the $498 price. Find the Kuat Sherpa 2.0 on Amazon for $498 or at a bike shop near you.